Where Are Government Documents in the Library? Can Government Documents Be Checked Out? The general public is welcome to use depository materials free of charge. All of the material in Government Documents circulates, except for Government Documents Reference material and the items in our Maps collection. West Chester University adheres to the Federal Depository Library policies set in Title 44 U.S.C. §§ 1901 -1916 (2010). Any information published by any level of government in the United States is considered a "government document." We collect documents published by the United States federal government and the Pennsylvania state government, and we have a small collection of documents published between 1970-2000 relating specifically to Chester County, PA. 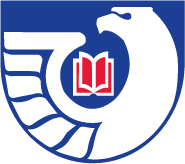 Most US federal government documents published within the last 5 years are available online, which you can find by searching the library catalog or the internet in general. We also collect documents in print format which are relevant to the courses taught at WCU, and you are welcome to look at them in the library, scan them, and check them out. Government documents are found on shelves in the far right corner of the 2nd floor of the FHG Library, as well as online through our library catalog. Almost every document can be checked out for four weeks, just like a regular book. The exceptions are the documents in our Docs Reference and PA Docs Reference collections -- these can be read, copied, and/or scanned in the library, but they cannot be checked out. Every document, with the exception of those in the Docs Ref and PA Docs Reference collections, can be checked out, as well -- take a look at the library's circulation policy for the general public to learn how to apply for a library card.